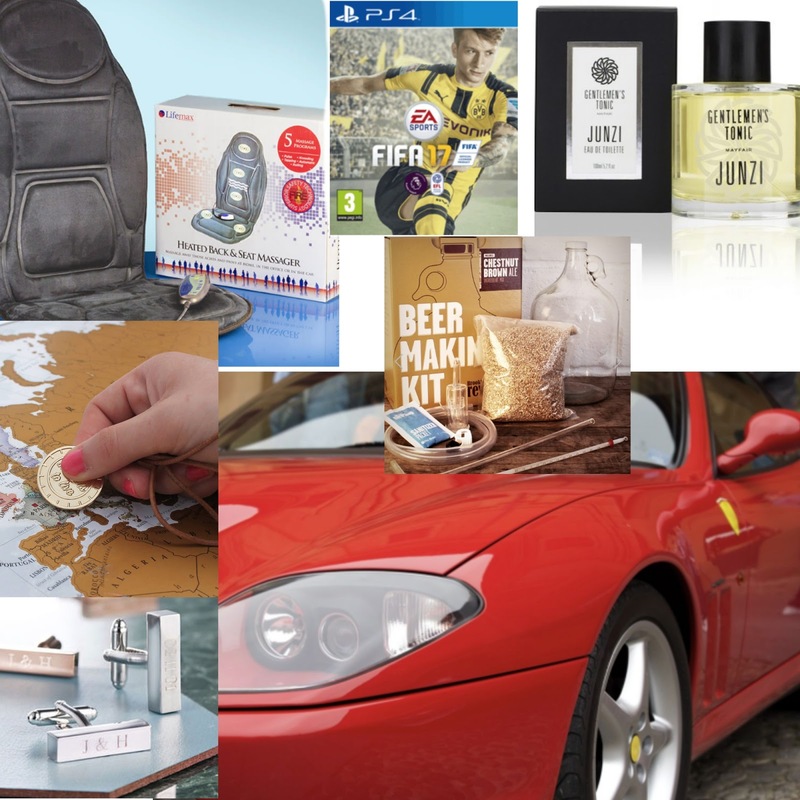 Hello lovelies, so to finish of the gift guides I have the mens and the children as it's 3 days away from christmas! Eek, I am so excited I just want it to hurry up. Hello lovelies, so more gifts for the men in your life, the scratch the world map is actually below the price but I thought it would make such a lovely present especially for the travel lover in your life, my fiancé has been to a lot of places around the world and we plan on travelling America when the kids are in their twenties so this would be perfect for that. I have already treated him to Fifa 17, obviously if your partner/male friend doesn't like Fifa you could treat them to a game they like, personalised cuff links perfect for dads, granddads and partners if they wear a lot of shirts. Gentlemans Tonic kindly sent Dan this luxurious fragrance Junzi, it smells incredible it really did make Dan smell like a 'Gentleman', Dan said it's not to heavy but strong enough to last through out the day and to smell wonderful, it has refreshing burst of bergamot, lemon grass fusions with arming heart of clary sage, lavender and rose and the scents that give it the masculine feel are Vetiver, Cedar Wood and Amber. It is a very masculine set but its fresh and crisp, I really enjoy the smell of it when he sprays it and I am really fussy with scents, they also have other choices on their website for the gentleman in your life. Dan has always wanted one of those massager seats, this one is also heated so perfect to put in his car on his long journeys working away at early starts, he would love this and the car experience Dan would love driving super fast in a sports car then lastly a beer lover like my fiancé I thought this beer making kit would make a great present, fun and keeps them at home rather than the pub? 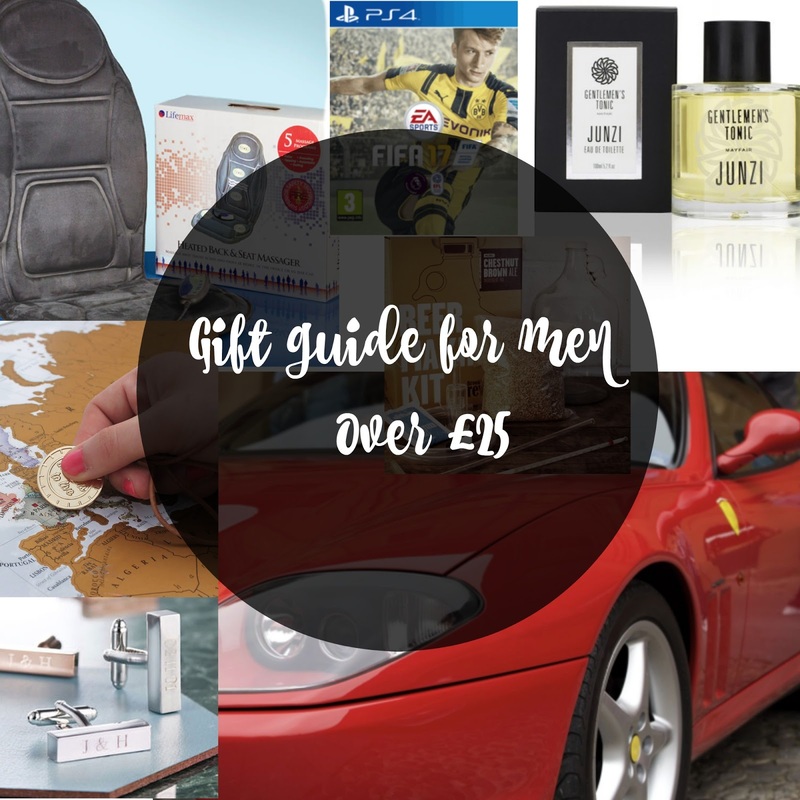 What have you got the men in your life or planning too?